Formerly known as the Little Wine Club, the business has been rebranded as Darley Abbey Wines and the website has had a massive re-design. Featuring the latest html5 software this website can be viewed on desktop computors and tablets without any web browser compatibility issues. 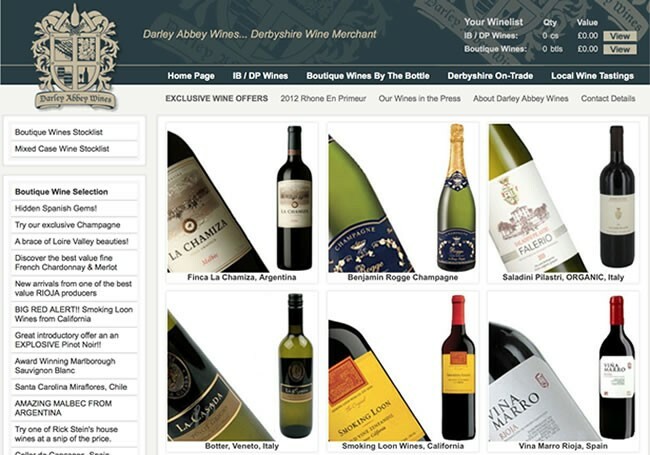 Darley Abbey Wines are a Derbyshire based wine merchant selling fine wines by the case and boutique wines by the bottle. 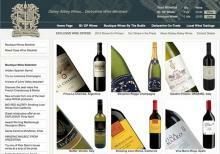 Wines from around the world can be bought online or tasted at one of the many wine tastings in Derbyshire. Project Details: To create a search engine friendly eCommerce shopping cart website; and to construct a suitable MySql database to compliment the web page display requirements. Images and graphics optimsed to assist quick loading of the pages. Search Engine Optimisation, Web Promotion and Web 2.0 Marketing are carried via the "WebAlerting Your Website" Maintenance Package.